We’d love your help. Let us know what’s wrong with this preview of Comics by Ivan Brunetti. To ask other readers questions about Comics, please sign up. Thanks to the publisher and Edelweiss for the digital galley. This is a book that 8 year old me would have worn out with love. 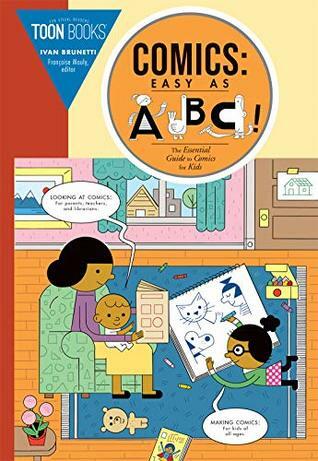 Like Scott McCloud's UNDERSTANDING COMICS (which I love and think all picturebook writers & illustrators should read), but abridged for kids (of all ages!). Contributions and quotes from 15 different comics creators throughout, and includes a note at the end to adults on how to read comics with kids. Known for his dark humor and simple, yet effective drawing style. Brunetti's best known work is his autobiographical comic series Schizo. Four issues have appeared between 1994 and 2006. Schizo #4 won the Ignatz Award for Outstanding Comic of the Year in 2006. He has also done numerous covers of The New Yorker.